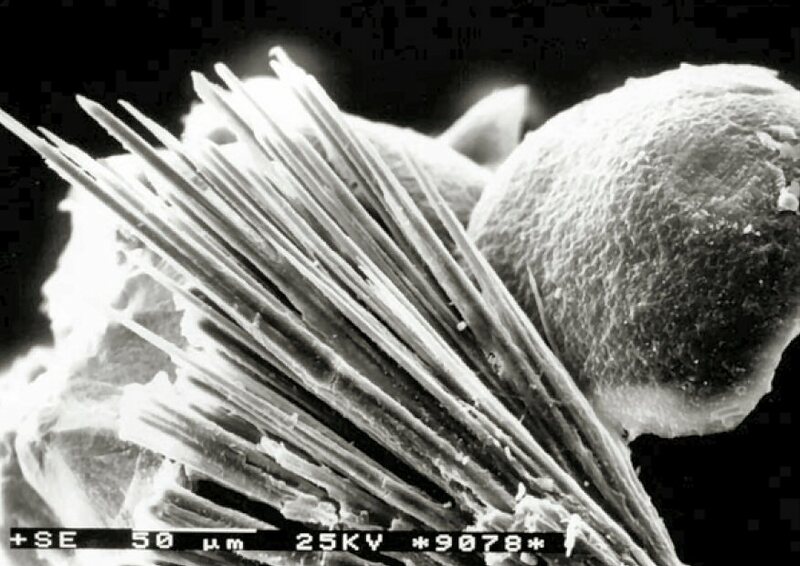 Comments: SEM image of calciopetersite in fine radiating spray; note the hexagonal outline of crystals. (CanMin, v43:1393). Location: Domasiov nad Bystrici, Czech Republic.